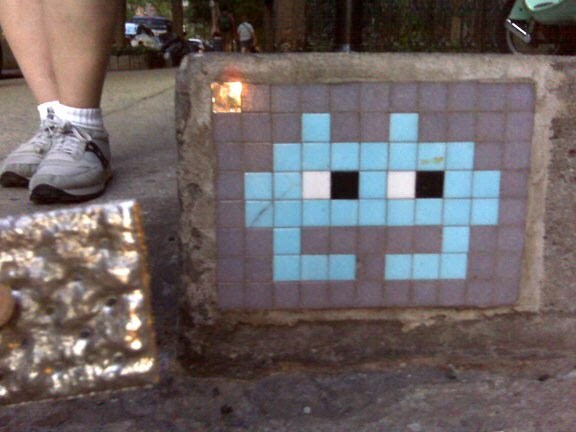 Invader, the French graffiti artist has pasted up in Chelsea again. The sneakers belong to an older gentleman tourist who was a bit nervous about being in New York. He asked if the tile work lead to a buried treasure or something. There are "invasion maps" of some of the tiles for different cities available on Invader's website. He's hit about 40 cities world wide.